The "air puff test" is a slang term for non-contact tonometry (NCT), a test used during an eye exam to measure the pressure inside your eye. The air puff test gives your eye doctor an eye pressure reading, known as intraocular pressure (IOP), which helps detect glaucoma. "Puff tonometry" is a good screening test for eye doctors but can sometimes overestimate pressures. This test is not as accurate as traditional tonometry but is very sensitive in picking up pressure problems. Many people prefer the air puff test as no contact is made with the eye. The puff of air you will feel is not painful. Direct tonometry on the surface of the eye is a more accurate measurement of eye pressure. However, this type of testing requires a skilled technician to perform correctly. Before the test is performed, a technician will numb the eye with anesthetic. During the exam, a sensor is placed gently on the surface of the eye, giving a very accurate reading of IOP. Because the traditional tonometer must make contact with the eye in order to obtain a pressure measurement, most people request the air puff test. The air puff test emits a gentle puff of air onto the eye, then measures the time it takes for the air to flatten a small area of the cornea and return to the instrument. So what if the air puff test results in a high reading? Elevated IOP is sometimes referred to as ocular hypertension. Elevated eye pressure does not automatically signal glaucoma, but it puts you at risk for developing the disease. Your eye doctor will want to check your eye pressure at every visit, to make sure other signs of glaucoma do not develop. 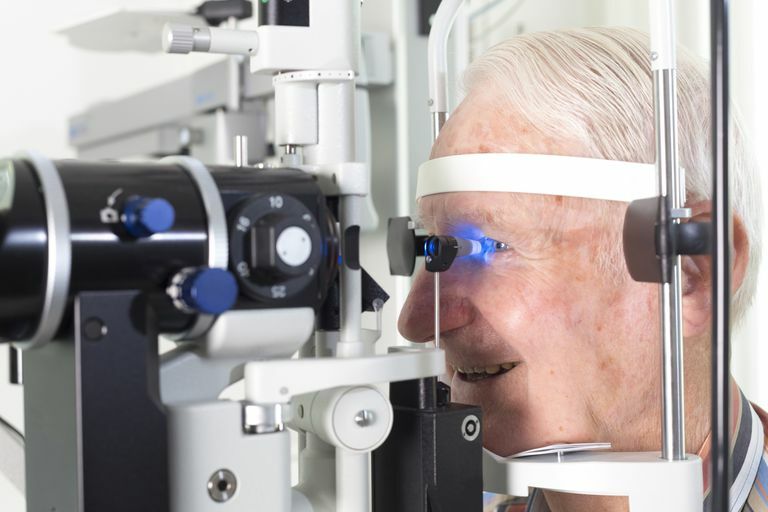 Glaucoma is a serious eye disease that may result in vision loss if not treated early. Because the condition does not produce obvious symptoms, an air puff test is sometimes the only way for a doctor to detect it. However, a sudden increase in eye pressure, particularly in the case of acute angle-closure glaucoma, may produce other symptoms including blurred vision, halos around lights, severe eye pain, and headache. Angle-closure glaucoma is rare but serious. Unless treated quickly, the condition could result in blindness. If you experience the above symptoms, seek medical attention immediately for evaluation. The air puff test is advantageous to traditional tonometry in that it can be performed with less skill and can be done by a technician. Also, it does not touch the eye, so there is no concern with contamination. Furthermore, no eye drops are needed before the test. Some clinicians feel that the air puff test is not as accurate as a traditional tonometer that actually touches the eye. However, this may depend more on the actual brand of NCT and the properties of a patient’s own eye tissue.